US intelligence may have used Macau casinos owned by an American tycoon to set a trap for Chinese functionaries who gamble with public money, in order to blackmail and recruit them. 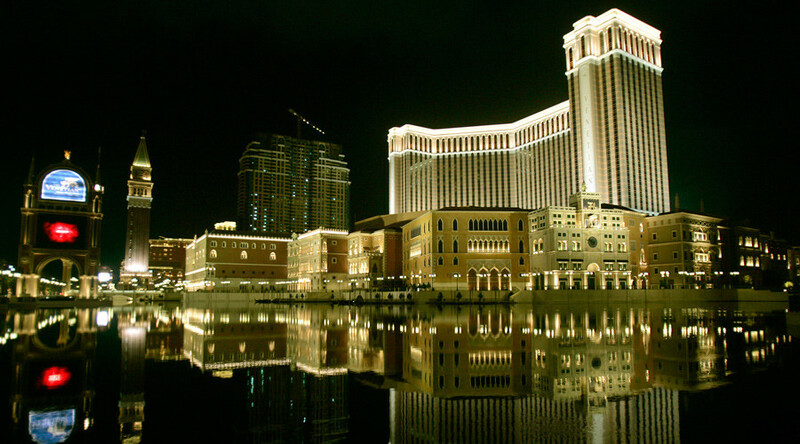 The “highly confidential” report on the gambling industry exposing the possible CIA operation in Macau, was prepared by a private investigator in 2010 and remained secret until it was uncovered by the Investigative Reporting Program at the University of California, Berkeley, the Guardian reports. The document dated June 25, 2010, was presented by Sands China Limited, the Macau branch of the gambling empire of Las Vegas tycoon Sheldon Adelson, as part of an ongoing lawsuit filed by Steven Jacobs, former head of Sands Macau casinos, who is suing the company for wrongful dismissal. The civil action hearing is being held at a Las Vegas court. The report reveals that Beijing suspected CIA and FBI operatives of using Macau casinos belonging to gambling billionaire and Republican Party funder Adelson to entrap and blackmail Chinese officials. “A reliable source has reported that central Chinese government officials firmly believe that Sands has permitted CIA/FBI agents to operate from within its facilities. These agents apparently ‘monitor mainland government officials’ who gamble in the casinos,” the report said. The report says: “According to China’s internal Central Government agency, some US$2 billion is annually gambled away by serving Chinese government officials visiting Macao.” It must be noted that officially it is illegal for mainland Chinese to transfer sums over $50,000 a year to Macau to gamble. Of particular concern to Chinese authorities, the report claims, are those officials who lost a lot while gambling and were running up debts, making them an easy target for pressure from foreign intelligence. Sands China initiated the report out of concern that the government of the former Portuguese colony was acting in an increasingly hostile manner towards the gambling industry in general and Sands casinos in particular, reports the Guardian. Both the Macau and mainland Chinese authorities are aiming to reduce the dependency of the enclave’s economy on gambling. “Many of the (Chinese) officials we contacted were of the view that US intelligence agencies are very active in Macao and that they have penetrated and utilized the US casinos to support their operations,” the report said. The report cites “well-placed” sources in Beijing, which claim they have proof of the Sands Macau casino resort becoming the stronghold of the US intelligence services in Macau. “This source also reported that several PRC (Peoples Republic of China) government bodies have reported ‘evidence’ of ‘US agents’, operating from Sands, ‘luring’ and entrapping mainland government officials, involved in gaming, to force them to cooperate with US government interests,” the report said. “There is a widely held perception amongst officials that Sands serves the interests of the US government in Macau,” the report concluded. Among his sources, the unidentified corporate investigator mentions three officials from the government agency responsible for overseeing Macau and Hong Kong, two officials from the Chinese foreign ministry and a powerful businessman with close ties in the Chinese capital. The idea that the Sands company served as a front for US intelligence efforts sounds “like an idea for a movie script,” the Guardian said, citing Ron Reese, the company’s senior vice-president for global communications and corporate affairs. According to the report, Beijing refused to allow the US to open a consulate in Macau, regarding it as an American attempt to interfere in the politics of the territory. “There was, within Chinese government circles, a suspicion that the US would become more involved in local Macau politics if it were granted a diplomatic presence in the [region]. According to our other sources, some of the PRC (Peoples Republic of China) officials involved strongly suspected that Sands was behind the US diplomatic initiative,” the report said.